DOCSIS has become the established standard for return channels when it comes to implementing interactive services in broadband cable networks. The quality of these signals is essential to network efficiency. The analysis can be done using the highprecision R&S®ETL, R&S®EFA and R&S®FSH3-TV TV test receivers that have proven themselves in the downstream. 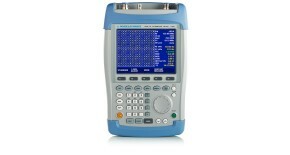 These T & M instruments can be quickly and easily configured for measuring the upstream. To ensure high data rates in the return channel between the cable headend and customer equipment, cable modem manufacturers need to test the quality of (EURO) DOCSIS upstream signals during development and production. 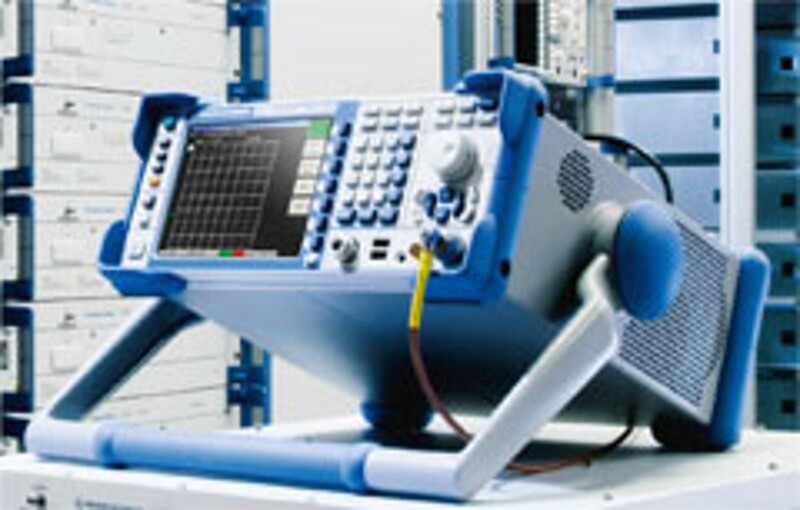 Cable network operators must also test the signal quality when putting systems and equipment into operation and when performing maintenance. This requires high precision test and measurement equipment that can accurately determine the MER value of the constellation diagram, even above 40 dB. Additional measurements for root cause analysis (e.g. frequency response, channel impulse response) must also have a correspondingly high level of accuracy. 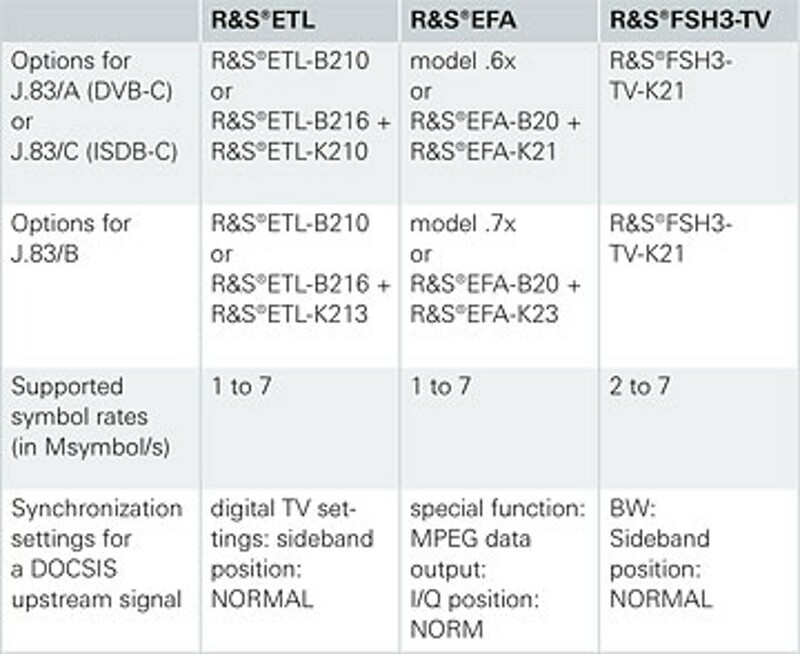 The R&S®ETL, R&S®EFA and R&S®FSH3‑TV TV test receivers are known for their precise quality analysis of all types of downstream signals – including TV programs and dedicated subscriber data. The instruments measure all relevant parameters, automatically perform a comparison with predefined limit values and allow users to save the results for archiving purposes or more in-depth analysis. In contrast to downstream signals, upstream signals do not comply with J.83/A (DVB-C), J.83/B or J.83/C (ISDB‑C) standards. Still, only a few settings are necessary to measure upstream signals with the same precision. 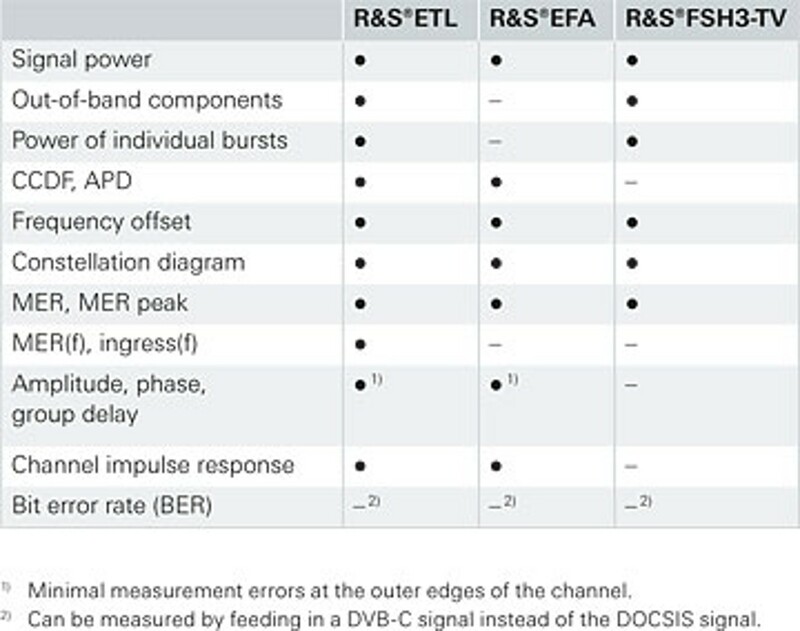 These special configurations, which are described on the following page, turn the instruments into full-performance test receivers for measuring DOCSIS upstream signals. 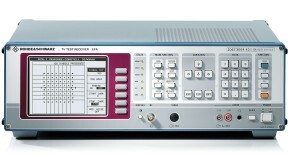 The Rohde & Schwarz test receiver is equipped with options for downstream-relevant standards (see table). The R&S®ETL or R&S®FSH3-TV can measure the power of upstream burst signals using the spectrum analyzer function in the zero span mode. For all other measurements, the DOCSIS upstream signal must be transmitted continuously. This requires disabling of the burst mode on the cable modem. 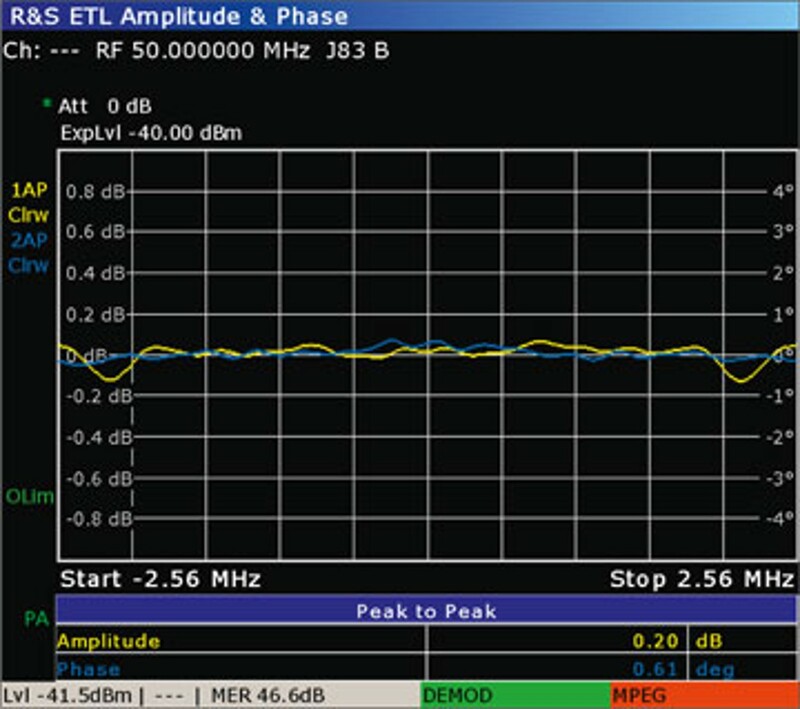 On the test receiver, the rolloff factor is set to 0.18 and the symbol rate and QAM order are set according to the upstream parameters. For the symbol rate, the setting range of the test receiver must be taken into account (see table). The synchronization settings shown in the table must be used to prevent the instrument from mistakenly searching for the MPEG-2 frame alignment word 0x47 of a downstream signal. This solution makes it possible to accurately measure the quality of (EURO) DOCSIS upstream signals and their transmission channels, including power, constellation diagram, MER, frequency response, MER(f) and ingress(f). The bit error rate, the only parameter that cannot be measured directly, can be measured using a DVB-C signal. 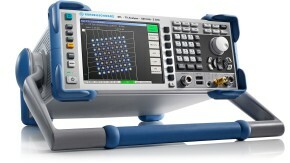 While the rolloff factor configuration of 0.18 does not comply precisely with the DOCSIS upstream specification (0.25), Rohde & Schwarz test receivers fully compensate for this thanks to their extremely powerful equalizers. Minor deviations occur only at the outer edges of the frequency response measurement (see screenshot). In addition to (EURO) DOCSIS upstream signals, the configuration described here can also be used to measure general QAM signals with any type of content – known or unknown.